Jim Breuer's "dad jokes" are actually funny. Stand-up comedy is one art form in which aging gracefully can be particularly tricky. Once an audience has embraced a comic, they don't necessarily want to see that comedian evolve. We never really wanted to see Rodney Dangerfield get any respect, or George Carlin stop swearing. 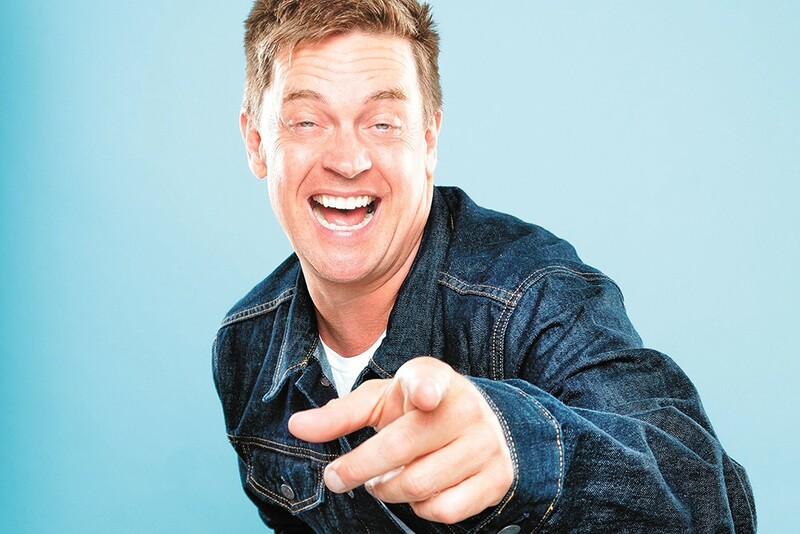 Jim Breuer has managed to shift gears several times over the course of his career, and he's done it with relative ease — and a lot of hard work. The guy many first met as the braying "Goat Boy" on Saturday Night Live in the late '90s, in stoner flick Half-Baked or as a heavy-metal-obsessed shouter now elicits laughs with stories from his everyday life on a wide array of TV, radio and online outlets. Breuer had his first stand-up gig in 1989, and he's still going strong even if the Breuer who takes the stage at the Bing Crosby Theater Saturday is nothing like the Breuer you would have seen 30 years ago at a Clearwater, Florida, open-mic night. In an interview from a Nashville tour stop, Breuer says he basically looks at his career in three 10-year periods. "The first 10, I'm just trying to be a star," Breuer says. "I want to be on TV, I want to be in films. And, technically, I pulled that off. '89 started and by the time I got to '99, couple of sitcoms, television development, SNL, couple of films. "[In] '99 I walked away to start a family, so the next 10 years was more family and I went into radio so I could be home and do dates here and there. And the last 10 I've been full-blown stand-up, and doing my best to write and be passionate." Breuer calls his latest era "my all-time best." For his current stand-up, he steers far from the topical temptations of the country's political warfare in favor of being as relatable as possible to as many people as possible. And it's been that way ever since he and his wife started having kids nearly 20 years ago. "I just talk about what I know. I'm not trying to be clever," Breuer says. "I'm not trying to be the smartest guy out there. I'm a father. I'm a husband. I'm a son trying to take care of elderly parents. And it turns out a lot of people are just like me. As long as I have a normal life, I'm going to have material." Lest you think aging has totally mellowed Breuer out, hop online and give his Jim Breuer Podcast or Howard Stern Show appearances a spin. Or, better yet, catch him on the road with Metallica where he's putting his metal fandom to use revving up the crowds of 15,000-20,000 fans before the band takes the stage. He did just that in Spokane back in December. That gig came about through the comedian and band's mutual fandom and long-standing friendship, and Breuer calls his nights opening for Metallica "the greatest gig I ever had, hands down." "Basically, what they wanted was a fan experience," Breuer says of the Metallica job. "So, make it about Metallica, make it about their fans. I went, 'Oh my God, that's easy. I'm a diehard Metallica fan. These are my people!'" Even so, Breuer had to win over Metallica fans antsy for the concert to start, people who maybe weren't aware a comedian was going to kick off the evening. At his own shows, that's not a problem. The original print version of this article was headlined "Grown-up Stand-up"